The recent opening of the ParkLake Shopping Center– a 70 000 square meter mall situated in the middle of a residential area in Bucharest – may seem to have an unlikely benefactor: the Romanian film industry. For ParkLake, which is being marketed as a place for “meeting nature” and thus builds on the same marketing lie through which Eastern Europeans all around are being cheated of genuine public areas, not only houses more than 200 shops, several outdoor tennis courts and an ice skating ring, but is also home to a Cinema City multiplex with fourteen screens. Since post-New Wave directors have begun producing a domestic strand of commercial filmmaking, those screens constitute real venues for Romanian films rather than just bloating box-office statistics (the 16 percent increase in big screens in 2015, e.g., was largely due to CinemaCity’s opening five multiplexes that year). In the week of October 17th-23rd, one can go to see three different Romanian films in the ParkLake Shopping Center: Bogdan Mirica’s Dogs, Iulia Rugina’s #Selfie69 and Paul Negoescu’s Two Lottery Tickets. The two latter in particular are exemplary for the commercial trend among young Romanian directors. While some youngsters have followed in the footsteps of the big four (Cristian Mungiu, Radu Muntean, Corneliu Porumboiu and Cristi Puiu) – in Mirica’s case, with a more mass-friendly, action-driven touch -, others have successfully sought more obvious ways of reaching domestic audiences, not shying away from the usual success formulas of mainstream filmmaking like lighthearted comedy and the star system (insofar as there is one). The trailers for #Selfie69 and its precursor #Selfie, for instance, have all the ingredients of an American college movie: crazy parties, freshwater sexual encounters, awkward conversations with mum, and run-ins with the law. That Mungiu & Co. are protégés of the national film fund, whereas the box-office-oriented directors produce most of their films independently (thus being backed by innovative marketing campaigns), is no coincidence. Romania’s film industry reveals a larger socio-economic transition from public to private that must be acknowledged if one is to properly assess the recent surge in box-office numbers. For though the increase in admissions for Romanian films has been considerable, this has partly been due to popcorn-laden spending oases and lubricious films. Like all of Romania’s serious woes, the country’s lack of a film theater infrastructure is a problem that won’t be removed by building more malls. This month’s issue again features coverage of two major film festivals. Zoe Aiano was at the BFI London Film Festival, where she saw Emir Kusturica’s latest gaffer featuring himself alongside Monica Bellucci, and a Czech horror film that gets entangled in awkward moralizing. 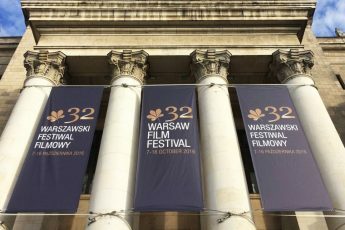 Meanwhile, Jack Page reported live from the Warsaw Film Festival, reviewing the latest coup of the Sasnals, in which they adopt the perspective of a racist misanthrope. 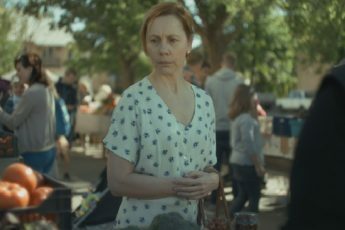 Also from Warsaw are our reviews of Playground, a controversial film about child delinquents, Park, a documentary about the youngest generation that will have to stem the consequences of the Greek economic crisis, and Mother, the portrait of a small town in Estonia that is shook by a murder. Our festival coverage is joined by a review of Ryszard Bugajski’s Interrogation, which was shot in the early 80s but banned for nearly a decade for its open depiction of Stalinism in Poland. Paulina Duda, who submitted the film’s review, also spoke to Bugajski, who looked back at his long career, and spoke about differences between the Polish film industry and the Hollywood system. Finally, Isabelle de Pommereau recounts the history of Martti Helde’s WWII drama In the Crosswind, which joins the long list of Baltic films dwelling on the region’s troubled past.